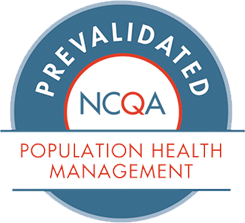 Population health management requires healthcare organizations to unlock myriad data sources in order to access to richer and more comprehensive information than ever before. With Jiva’s™ Enterprise Data Warehouse (EDW), you can capture, aggregate, and standardize various types of data from multiple sources, both within and beyond your enterprise, and then analyze it and turn it into actionable intelligence. In one location, users can access historical and real-time information to gain critical insights that will facilitate various activities essential for effective value-based care; from more impactful clinical decisions, to fulfilling today’s rigorous reporting requirements for CMS, Meaningful Use, ACOs, and more. Consolidates data from health plan administrative and financial data such as claims, eligibility, authorizations and clinical data from EHRs, pharmacy, lab results, radiology reports, referrals, and other data. Learn about the unmatched breadth and depth of capabilities the end-to-end Jiva 6.1 solution offers to help ensure your smooth transition to value-based care delivery and payment models.